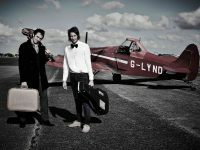 We pride ourselves in being the UK's leading award winning, destination wedding band. 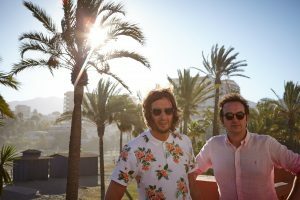 Booking Rock My Reception for your destination weddings is surprisingly simple and can make for a great alternative to unknown musicians performing. We are happy to learn any songs for your wedding. A little taste of home when getting married in the sun can make for a memorable experience. 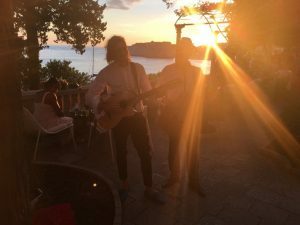 So if you fancy being serenaded during your ceremony to one of your favourite bands, or hiring us for the drinks reception, for a laid back summery feel, or even the first dance on the beach. With your friends and family surrounding you as we sing and play an acoustic version of your favourite song, how could a wedding be more perfect? It is surprisingly easy and cheap to transport us to a destination outside the UK. We can arrange cheap flights and accommodation in advance. We travel light so there are only ourselves, hand luggage and our acoustic guitars to fly out. We always liaise with wedding organisers before the big day to ensure the day runs exactly to plan. As a matter of routine we always arrive the day before to make a reconnaissance of the wedding venues. We have always maintained a healthy working relationship with venues and organisers. When booking Rock My Reception for your destination wedding you will be guaranteed value for money. We will not limit you to set playing times, and can be on hand all day, throughout any point in the wedding day. Everything we offer in the UK, we can offer abroad. We offer a unique musical experience and pull out all the stops for every couple. 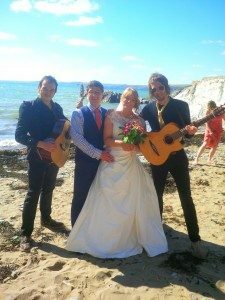 Each wedding is unique and because of our stripped down, busking-like simplicity of two guitars and vocals, we’ve complete flexibility to play at any point of your wedding day. Who pays for the flights and accommodation? Either we can book in advance or booked as part of the package through the bride and groom. Surely transporting equipment abroad can be costly? Not at all! We take our acoustic guitars and hand luggage. Making it as simple and easy as possible. What if we want you for the Evening Reception, will you be amplified? Many venues have a in house sound system. We would extensively liase with the wedding co-ordinator at the venue, checking on compatibility and make sure we can plug into there system. 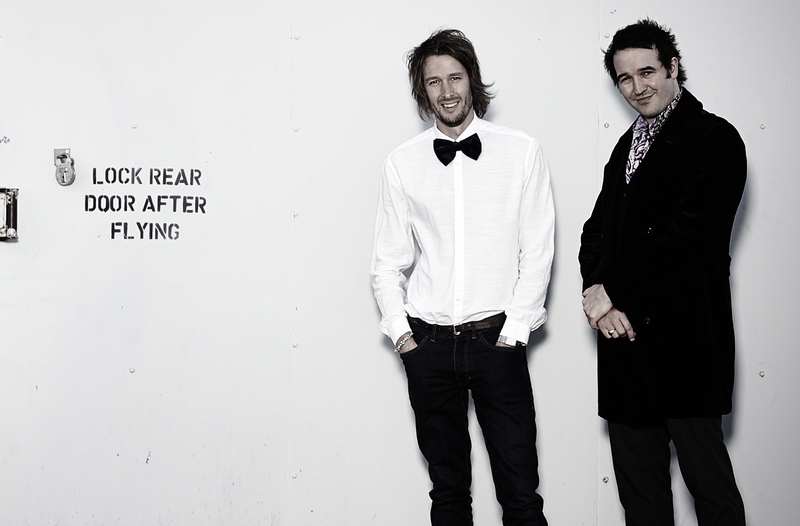 Alternatively, we have in the past hired a PA and speakers abroad. Having travelled to the beautiful old town of Dubrovnik, Croatia a day prior to the wedding, we were able to conduct a reconnaissance of all the destinations we would be required to play; for the ceremony, the towns jewel in the crown-the magnificent open air hall of Sponza Palace. We would then make our way to the harbour for an sea-bound reception, finally making our way to the Grand Hotel Argentina for an outdoor evening reception with a spectacular panoramic view of the town and the glistening blue Adriatic Sea. On the day of the ceremony the sun baked down and shone down upon the congregation at Sponza Palace. We had been asked to learn specific songs for the ceremony and if we could accompany a friend of the bride in a specially chosen song. This was enjoyable for us and only needed a brief rehearsal with the singer before getting it in the bag for the ceremony. The acoustics in Sponza Palace were fantastic for us to perform in and guests happily requested songs for us while sipping champagne in the magnificent historical surroundings. As we led the way to the harbour like a couple of pied pipers, our boat awaited bobbing gently in the deep blue water-fish visibly darting around its sides. It wasn’t long before we’d all climbed aboard and we’d taken our positions on the ships hull, looking more than reminiscent of Duran Duran’s ‘Rio’ video! 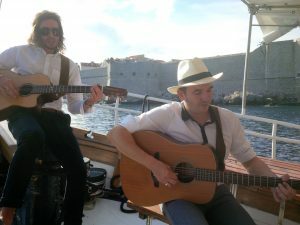 The experience of performing to a wedding party on a boat on the Adriatic Sea, warm breeze stroking our faces, is a delight beyond measure. Serene and intimate with people choosing songs out of thin air and ourselves striking the chords, prompting everyone to sing along in full voice. As the boat sailed passed villas and hotels, tourist cheered and applauded the happy couple as we sang ‘We are sailing’. A truly magical experience one wishes you could bottle forever. 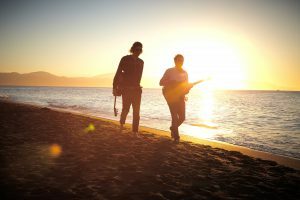 The mobility of having just two guitars, coupled with our vast repertoire of songs in our heads certainly lends itself to spontaneous situations that stand out in a wedding. Another of which occurred at a wedding we performed at in Prague. The beautiful city of Prague in the Czech Republic has a romance of its own at the best of times. Throw an adoring couple into the mix, a few guests and a wedding band happy to travel and you get the perfect wedding day. We had been asked to perform at a ceremony conducted in Prague Castles wondrous Baroque-style Vrtba Garden. Having performed the ceremony we made our way to the grounds of the John George hotel at the centre of the city. As the couple were heavily into The Beatles we were more than happy to supply them with Beatle related requests. 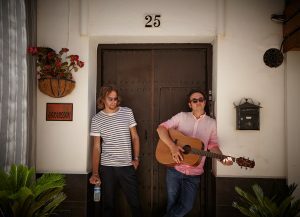 Not long after we started playing, the groom came over and told us that a group of tourists had gathered at the other side of the hotel wall: this wall happened to be famously graffitied with John Lennon drawings and quotations, hence being known as ‘The John Lennon wall’. The groom asked would we mind playing a couple of songs for the tourists? What a fantastic idea! When we made our way to the other side of the wall, an astonishing 30 or 40 tourists had gathered to hear us play. We struck out The Beatles ‘From Me To You’ which went down a storm; our happy couple dancing and kissing, with whoops and cheers from the gathered crowd. A beautiful way to be serenaded in an equally beautiful setting. Not only can we be spontaneous but can learn songs specifically for each part of the day. First Dances in the UK are usually nighttime affairs, conducted on a dance floor with lighting projected onto the happy couple ensuring all attention is focused entirely upon them both. However, why not buck the trend and be serenaded for an acoustic outdoor First Dance with a difference.